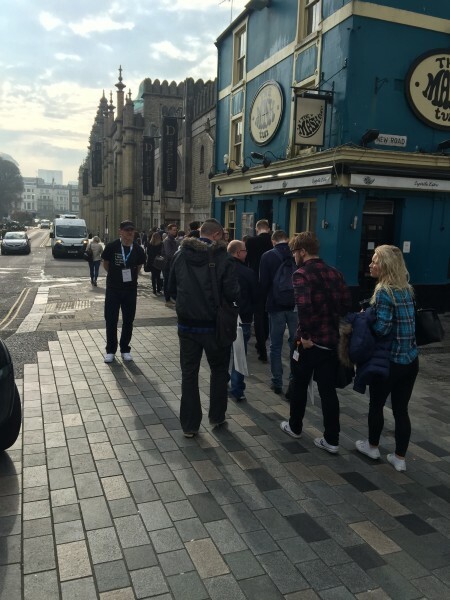 If at 9 am in the morning I see a huge crowd of people pushing to the front door of the great concert building in the south of England, what could this mean? 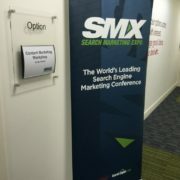 Exactly – another SEO conference in Brighton is starting and again I decided not to miss this opportunity and take advantage of a full day of interesting lectures and – this is obvious – of some interesting training. 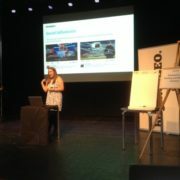 This time it was the “Content Marketing Training Course“, because as we all know content is king. I’m already after the training and after the conference and I will report it in my good old-fashioned way, especially for those who could not reach. Everything takes place in the south of England in the seaside resort. You could say that it is a pleasant setting if not for the fact that most of the time we spend in a great concert building where the courses, and the next day the whole conference are held. 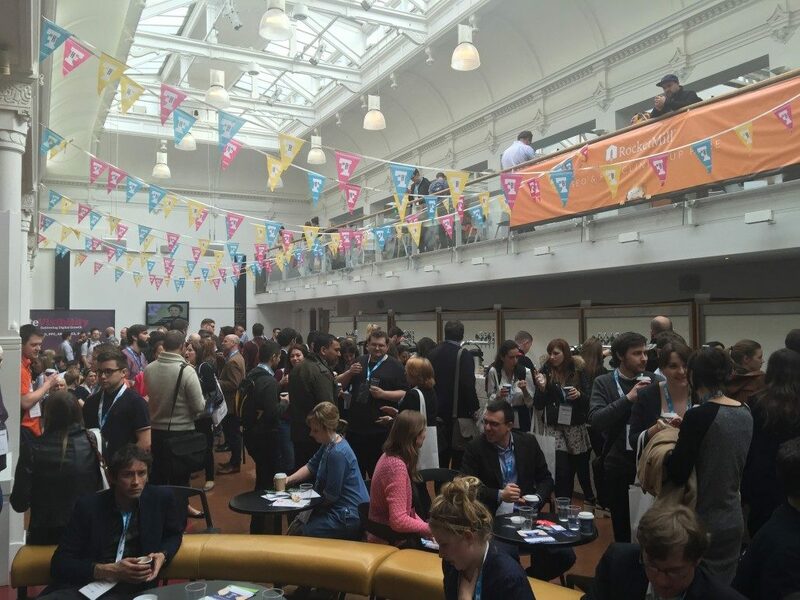 You can only really see how popular BrightonSEO is during the conference. Crowds, crowds, crowds – so much I have to say. 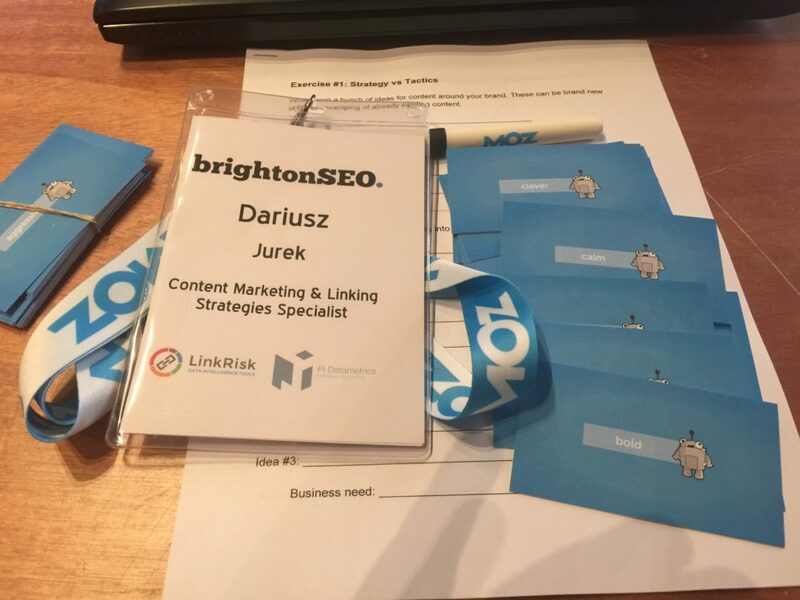 During the last BrightonSEO in September I focused on Link Building, so now a little bit more about Content Marketing for a change. Eric McGillivary of MOZ, the leader of the course, wrote in her training description that content creation is very difficult but fitting it to the budget, market needs and customer expectations – is even more difficult. Not to mention effective sales – because this is the hardest. Of course I agree with that, because poor quality content affects the results directly. But on the other hand, placing it on appropriate sites is a very important, if not the key issue. Back to the beginnings – if Poland still lacks a greater number of valuable thematic sites to place articles, content etc. (although Whitepress is doing a great job) we have to go back to the basics until it develops. This means more or less that any content released must be awesome – simply the best of the best. It depends on the copywriter, so we have to invest only in those good ones ? Let the people planning content marketing strategies remember one thing: no person dedicated to content creation is able to rock in all possible topics. If they write about roofs, screws, and cars, and soon after that articles for the target groups in the field of health and beauty, and so on in turns – it won’t result in a good quality. Specialty in several areas is ok but they should be somehow related. As the saying goes – Jack of all trades, master of none. So before we invest in suitable copywriters, we have to figure out what we want to achieve and how to build a whole Content Marketing strategy. Writing for writing, following the rule content is king behind which there is nothing, is a total nonsense. That’s what the training conducted by Senior Community Manager – Erica McGillivary of MOZ was about. There are many trainings about Content Marketing and I have participated in at least a few. But MOZ is the highest grade – one of the most famous companies connected with Internet Marketing, whose products and activities probably need no introduction… I must admit that the fact that the coach was a person from structures of this particular company, convinced me to this course. Quite a nice woman she was and straight to the point. What does a good strategy look like? How to sell your idea to the customers? Who should be involved in the entire project? How to improve production processes of content? How to improve the quality of what we create? How do I get the text some audience? What statistics and data are important when analyzing content marketing results? full transparency in explaining actions which are taken, no empty words. BrigtonSEO is a great conference and the trainings prepared are its very good complement. I’ll be glad to come back here again and then probably attend some other course, depending on what they propose. This trip was pretty good – some of the information I will certainly use in my work, some of it I’ll improve, a lot I’ll leave without changes but in general, technically and substantively I evaluate “Content Marketing Training Course” positively – a big plus. I am glad that I could take part in it. The same rating I give to the conference itself, of course. And to the whole climate that was exceptionally good for me. And to a few other things, which I will not mention. Or not, I will surprise you with one thing which I left for the end. 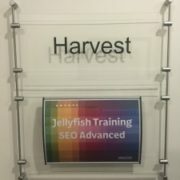 The training lasted 6 h and the word SEO was used… Who guesses? Up to 1-2 times. Before someone asks why, I will answer myself. 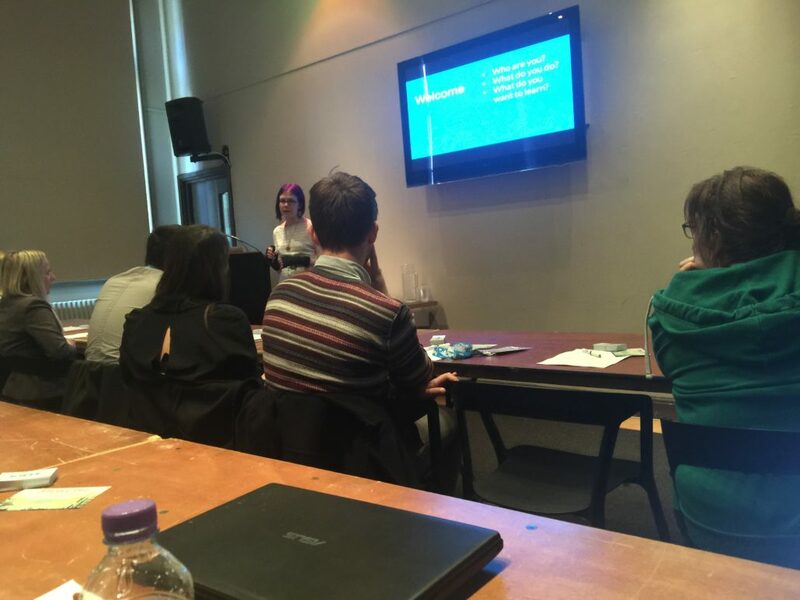 Because in the United States and England Content Marketing is not just Link Building but also writing content addressed to appropriate user groups, their needs and interests – that was the main idea of the whole meeting with a MOZ representative. 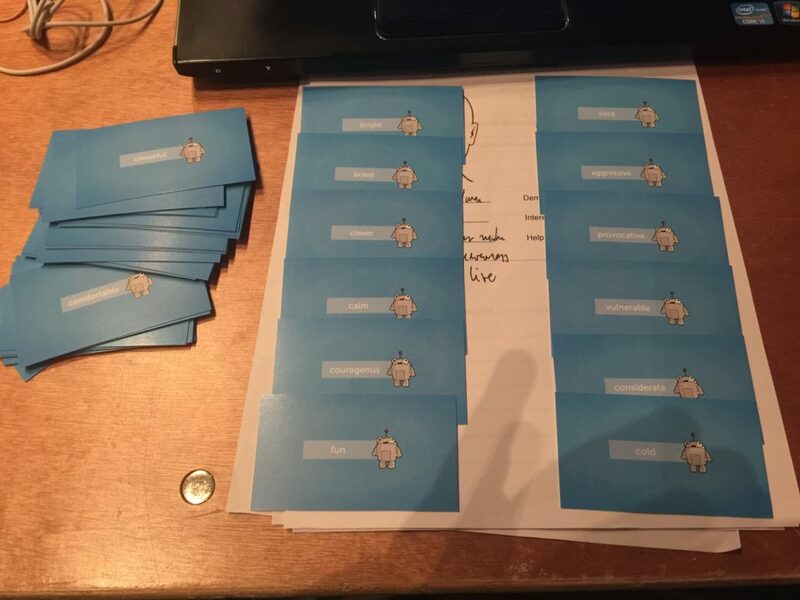 So I will meet the interested next month on my blog, and the eager for knowledge and stories from BrightonSEO 2015 can write in the comments below the article. We will meet and I’ll tell a few stories that did not fit into the framework of this post or weren’t suitable ? Good summary. In this year I participated only in the video form BrigtonSEO. I think, that in next year I must visit this place. High-quality, practical information. Bloody hate you for all your SEO-travel-stories 😉 Well done, nicely reported, thanks.